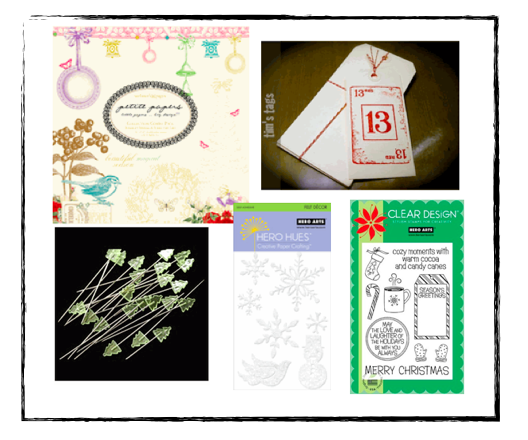 Eclectic Paperie: Be Merry, Winners! I think Santa's elves highjacked my schedule the last couple of days. They are so excited and busy getting ready for the season! Please email daisy@eclecticpaperie.com with your snail mail addy. You have until Nov 30th to claim your prize. The E-Team and I are so thankful for the time you took to visit each of the E-Team blogs. The comments you left were filled with kindness and cheer. The feedback really helps to keep the E-Team pushing their creative limits and thinking out of the box with all the tools that they have. 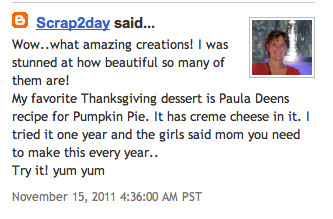 I think from all the comments left on the eP Blog, Pumpkin Pie seems to be the hands down winner for favorite Thanksgiving dessert. Loved reading about the memories and people attached some of these favorite sweets, too. 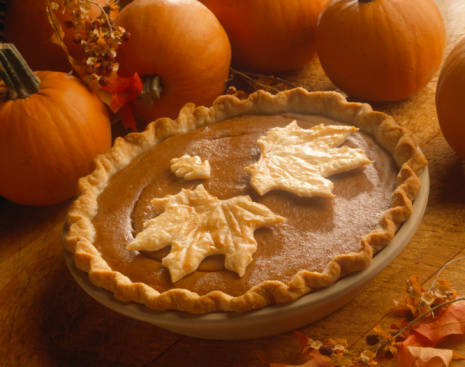 Hope your weekend is filled with lots of fun and excitement to lead up to a great Turkey Day. Nothing better than spending time cooking and eating with family and friends. Hope you also find some time to get a little inky. The E-Team sure provided lots of ideas and inspiration for some holiday paper crafts. Congrats to the winners! I can't wait to see what you have up your sleeves for the next hop! I so enjoyed the blog hop. So many awesomely creative ATCs and Tags, and so much inspiration. Excited to be a WINNER ! Congrats to the other winners !! congrats to the winners. You ladies are very lucky. Thanks to all the team members for some really great projects and ideas.